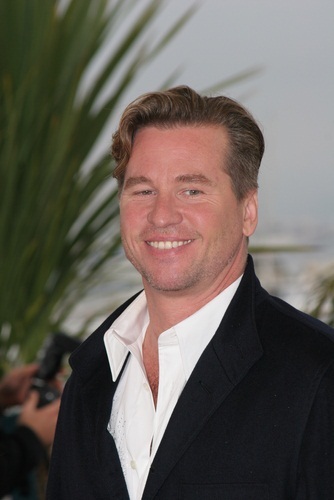 Val Kilmer is an American actor. He is the son of Gladys (Ekstadt) and Eugene Kilmer. Val’s father was of German, English, Welsh, Scots-Irish/Northern Irish, and French Huguenot, ancestry. Val’s mother was born in Indiana, of entirely Swedish descent. Val has two children, including actor Jack Kilmer, with his former wife, English actress Joanne Whalley. Val’s paternal grandfather was Thomas/Tom Walker Kilmer (the son of Jeremiah Early Kilmer and Nancy Williams). Thomas was born in Texas. Jeremiah was the son of James/John Kilmer, who was said to be German, and of Mary Polly Meadows/Meadors/Meador Heard. Nancy was the daughter of Wright Williams and Lucinda Pigg. Val’s paternal grandmother was Nora/Norah Elizabeth Jones (the daughter of Stephen T. Jones and Sarah Elizabeth Webb). Nora was born in Tennessee. Sarah was the daughter of Armistead/Armsted Webb and Elizabeth C. Morrison. Val’s maternal grandfather was John Edward Ekstadt (the son of John August Ekstadt and Anna Elizabeth Wester). Val’s grandfather John was born in Martin, Minnesota, to Swedish parents. Val’s maternal grandmother was Hilma Charlotte Swanson (the daughter of Bror Swanson and Karna Elizabeth Nilsdotter). Hilma was born in Sweden. Bror was the son of Sven Brorsson and Johanna Nilsdotter. Karna was the daughter of Nils Nilsson and Ingar Pehrsdotter. During Val’s interview on Inside the Actors Studio (2000), Val stated that he has Sephardi Jewish, Cherokee Native American, and Mongolian ancestry, perhaps jokingly, perhaps not. He has often referenced having Cherokee ancestry, usually from a paternal great-grandmother. However, no Sephardi Jewish, Cherokee Native American, or Mongolian ancestry has been documented in publicly available family trees of Val Kilmer. Both of Val’s paternal great-grandmothers, Nancy Williams and Sarah Elizabeth Webb were born to non-Cherokee families with fairly well-documented recent ancestors. Sephardi Jews did come to the United States in the 1700s, so it’s not impossible. Is he another of those Hollywood actors to claim Native ancestry?